National architecture firm Gensler and Pittsburgh-based Astorino (now CannonDesign) designed this luxury hotel and office building, which opened in 2010. 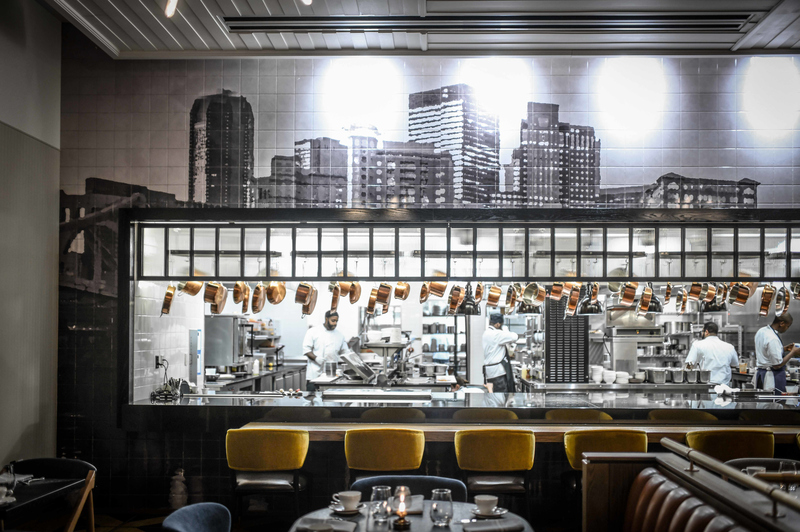 The hotel’s interiors feature steel and glass elements, a nod to the city’s industrial past, as well as works by local artists and excavated findings from construction. We invite our guests to explore artifacts recovered from the site of the hotel during our construction and learn the “storied” past of this location. Located at the heart of Pittsburgh’s business, cultural and dining hub, Fairmont Pittsburgh offers superb and distinctive guest services and accommodations in a luxury setting. With breathtaking views of PNC Park, the restored downtown and the Pittsburgh city skyline, our guests have the immediate feeling of truly being in the center of it all. From the theater and entertainment district, to sightseeing and world-class sports facilities, Fairmont Pittsburgh is near all of Pittsburgh’s top attractions. 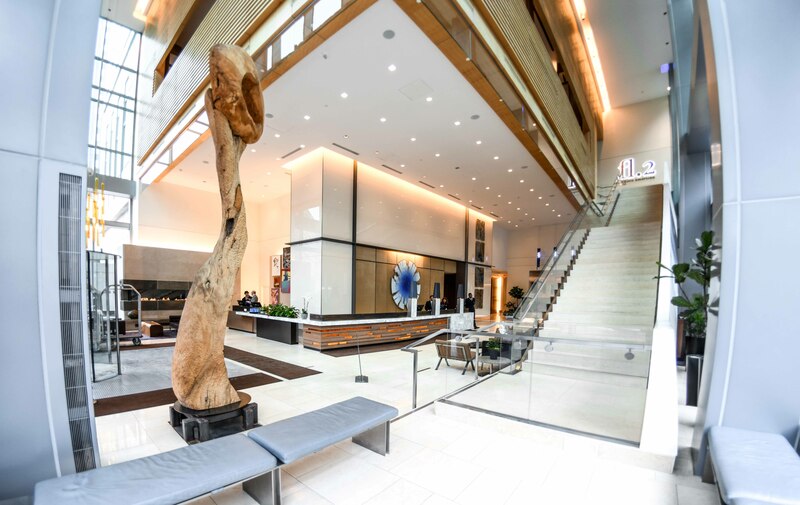 Embracing the city’s rich history of art and industry with striking glass and steel features and local artwork, Fairmont Pittsburgh stands as a testament to the city’s unyielding grace, beauty and strength. Fairmont Pittsburgh – “Where Green is Gold” Developed according to sustainable design and construction guidelines, Fairmont Pittsburgh has received a Leadership in Energy and Environmental Design (LEED™) certification at the Gold level from the United States Green Building Council – complementing Fairmont’s philosophy of operational sustainability and responsible tourism. 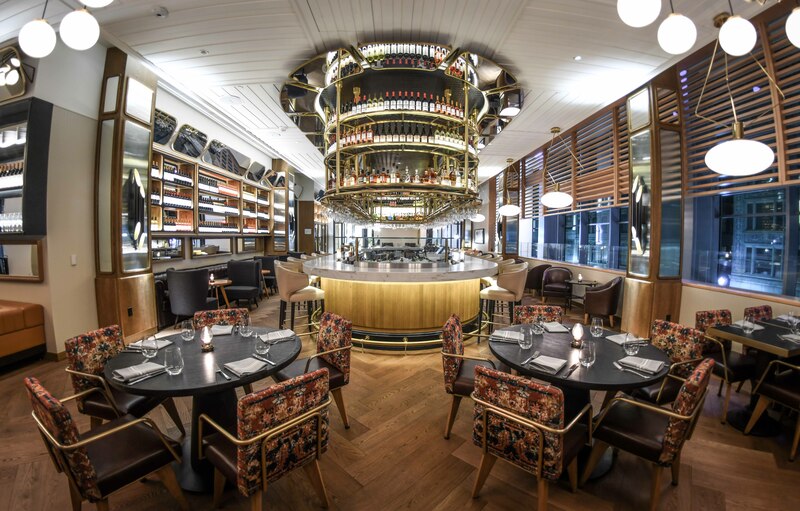 fl.2, the newest restaurant at Fairmont Pittsburgh, is the balance of vibrant and inviting elements designed to create the perfect dining experience. Taking cues from Pittsburgh’s rich history, renowned Barcelona-based designer Lázaro Rosa-Violán created the vision for a space that evokes casual luxury at its finest. fl.2 serves breakfast, lunch, dinner, dessert, and cocktails daily, and weekend brunch. For the menu or to make a reservation, visit fl2pgh.com.